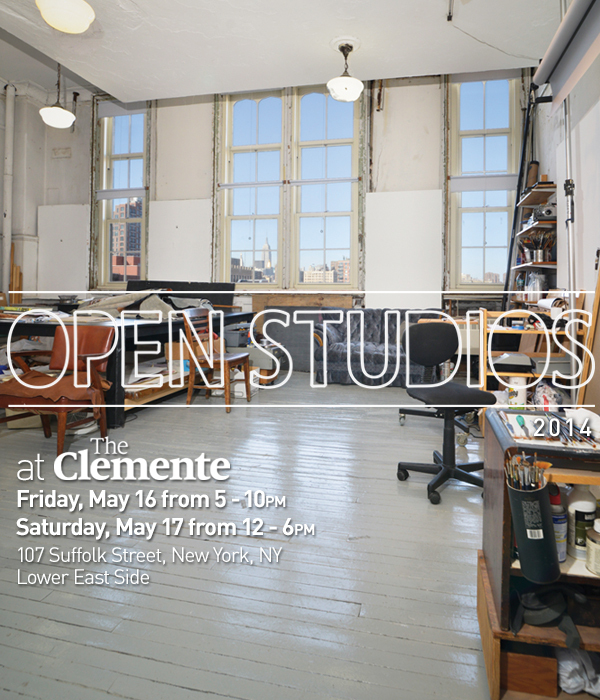 Join us for The Clemente’s 2014 Open Studios, during which over 40 visual artists and performers will open their spaces for an intimate glimpse into their creative processes. This year, each artist in the building has also invited an artist working and/or exhibiting on the Lower East Side, offering a glimpse into the artistic diversity of the neighborhood. To purchase tour tickets, click here. An exhibition of work contributed by The Clemente artists and their guests will be on view in the Abrazo Gallery both Friday, May 16 and Saturday, May 17. Presented in partnership during LES History Month by Artists Alliance Inc, Clemente Soto Velez Cultural and Edicational Center, and the Committee for Open Studios.